The fences has been up for the last few days. I wondered how many drivers have been going down at maybe 3 or 4 am to 'test drive' the tracks. That might be the only time that the roads are not all jammed up. Just look at the cars all getting stucked. Poor thing. What did I discover? 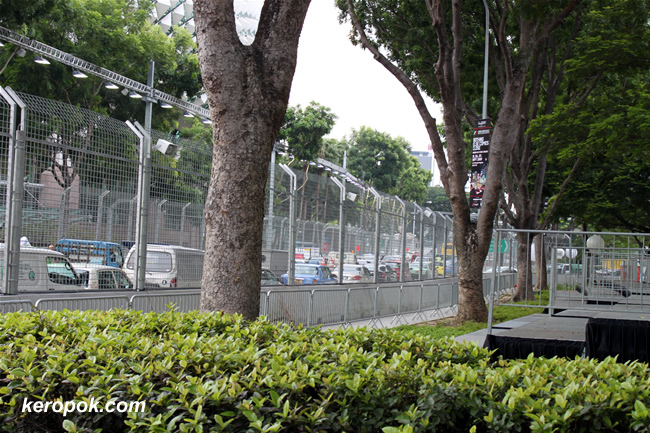 Well, if you are coming here the next few days, the only place to park is probably at Suntec City and Raffles City. The other car parks are either closed or you will need special labels. Wait, there's more! After the course today, I needed to walk again. But guess what I saw today? Revised parking rates. I took this photo with my camera phone so it's blurry. 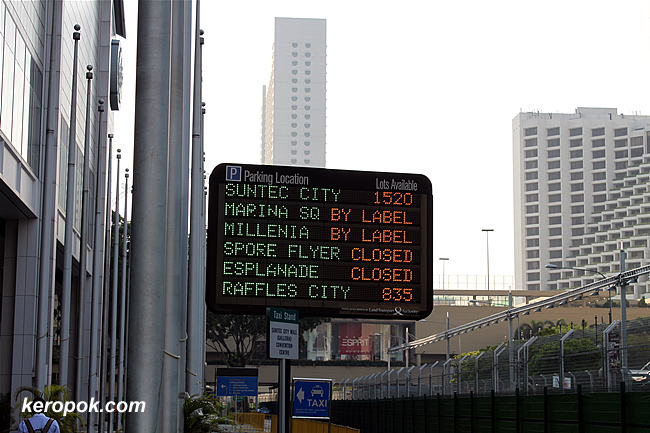 This Friday if you are parking at Raffles City for 13 hr, be prepared to pay $80! Subjected to 7% GST. Take public transport if you are coming. I overheard two elderly tea ladies who cleans up the place where I am attending the course complaining. It's only cars. So loud some more, cheh! Why are people paying so much to watch it? Can watch at home on TV. So boring some more. Going round and round and round only. Most importantly why are they doing this to us old people? Closed all the roads and make us walk round and round in circles too (like the cars)! but to those who's goin to watch the race,i bet they can't wait! crazeee! such inconvenience.. and they dare charge ppl more for parking. poor u! everyone's walking today. the newspaper and tv reported massive jams yesterday. 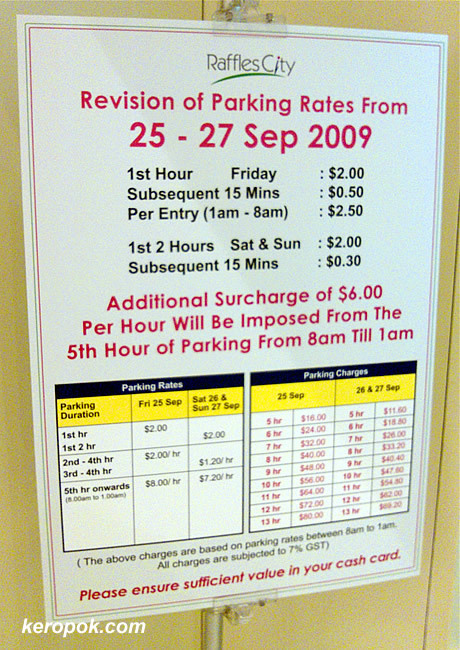 I don't drive in Singapore, so am not paying the parking rates. KL has a purpose built track at Sepang. So nice right? Ya, I am sure pple will be parking. It might even run out of space even with such pricing.